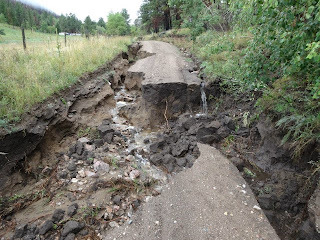 Overnight Thursday, September 12, the height of the week-long rain storm washed out a large number of roads and driveways in the Rist Canyon area. Other areas of the Front Range were getting hit even harder. 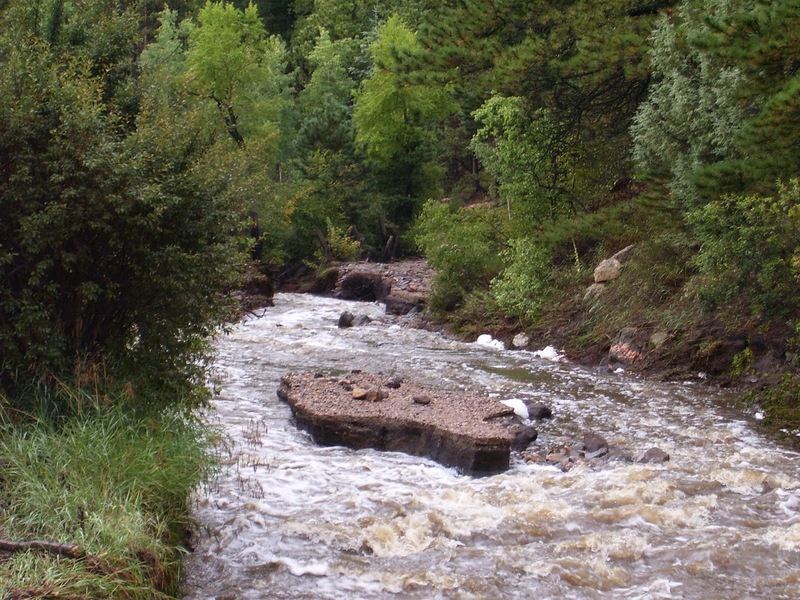 By now everyone knows the tragedies that happened in Boulder, Lyons, Estes Park, and the Big Thompson Canyon. 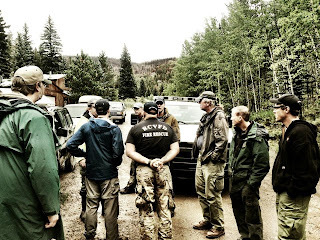 Since I live in Rist Canyon, and I participated directly in the relief efforts as a volunteer with the Rist Canyon Volunteer Fire Department (RCVFD), I'm focusing on that area. 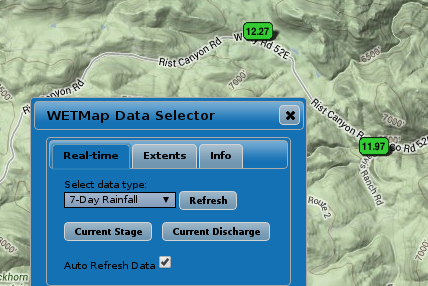 After the High Park Fire last year, rain gauges were installed around our area and connected to a real-time monitoring website. About 2 hours before the power failed on Thursday night, that website showed we had received over 7 inches of rain in 48 hours. By Monday morning, it read over 12 inches in 7 days. I spent every day, Friday through Sunday, with the fire department. 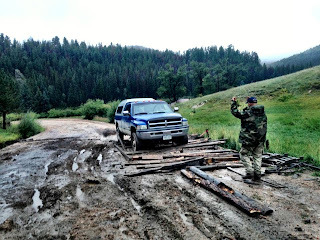 I spent Friday on Rist Canyon Road, which was the most passable road out, but wasn't able to capture any pictures or videos. 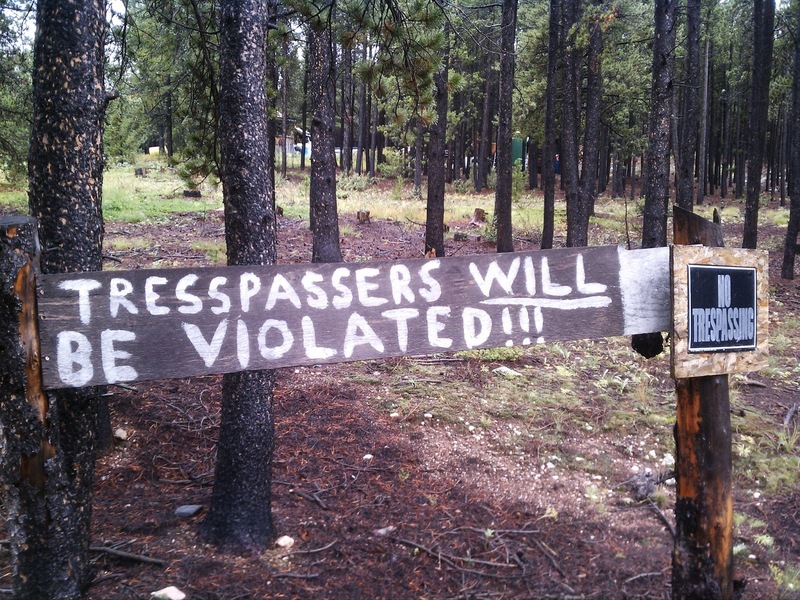 Luckily, other residents have done so and posted them. Below are just a few of those pictures. Links to all the sources are at the end of this post. In the case of the facebook links, you'll need to satisfy the security requirements (be the album owner's friend, a friend of a friend, etc). The RCVFD facebook album is public. 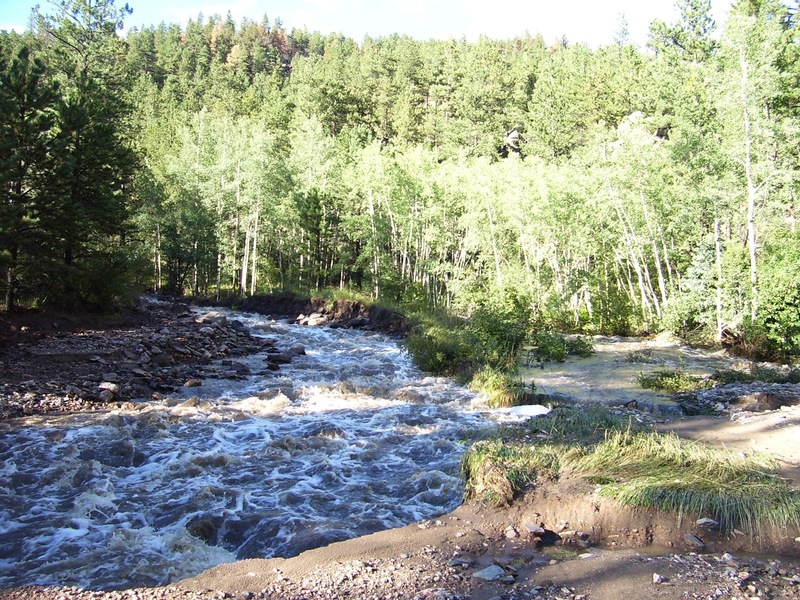 In Rist Canyon, we lost about half the road in one spot where tiny usually-dry Rist Creek came screaming down a resident's driveway, undercutting the road severely. In other locations, driveway culverts and bridges were completely erased, trapping residents in their homes. 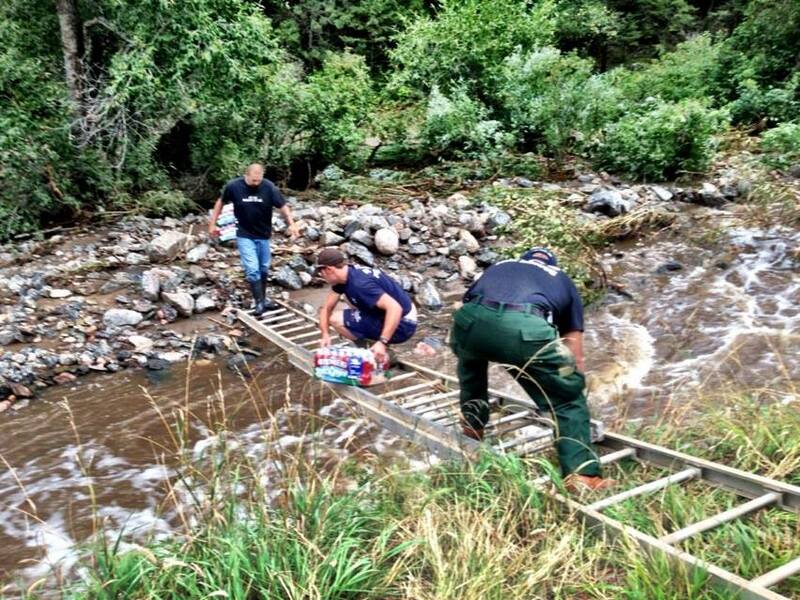 In a couple of cases, we had to throw or ladder supplies across Rist Creek. Stratton Park is one of our biggest branched-off communities, and was cut off for a couple of days while its intrepid residents rebuilt the washed-out road. 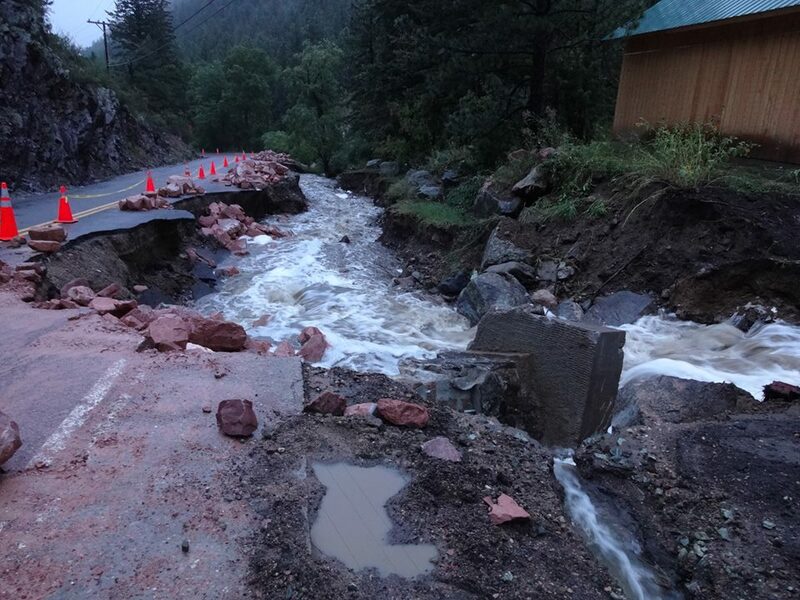 Half the road gone in Rist Canyon. 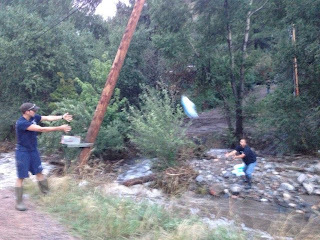 Luke throws supplies to a trapped resident. 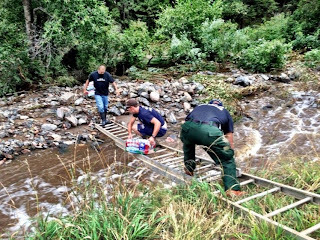 Luke and Ruben use a ladder bridge to deliver more supplies. 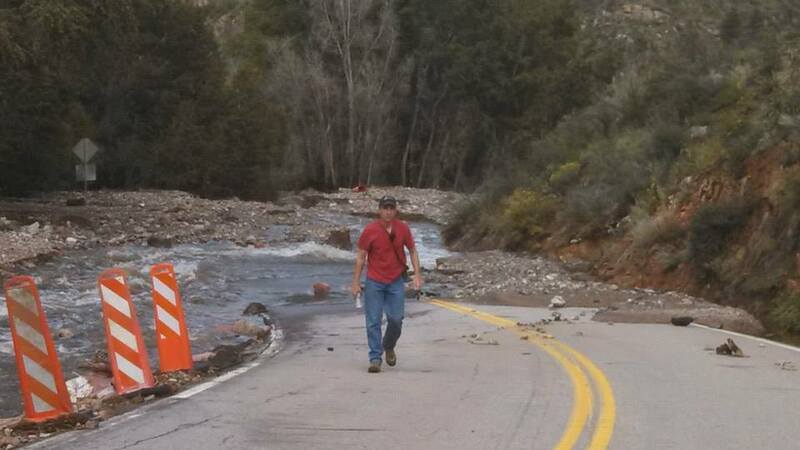 Stratton Park Road completely washed away. Expanding to the greater RCVFD response area, things got worse. There are two other roads out of our area: north on Stove Prairie Road to Co-14 and then down the Poudre Canyon, and south on Stove Prairie Road to Masonville and then east to Loveland. Both those routes were washed out completely. That's me walking away from the North Stove Prairie wash-out. South-bound is a no-go, too. The worst location was the Buckhorn Canyon. 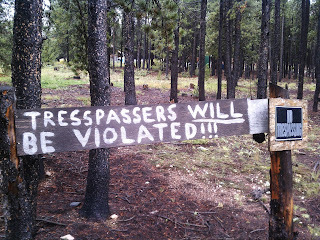 This is a very rural, nearly wild, canyon community that is only partially served by electricity and phones. Many of the residents rely on solar or wind to provide their power. Luckily, that means that they tend to be very self-sufficient. 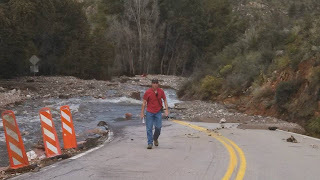 Their self-sufficiency was put to the test when Buckhorn road washed out completely in multiple locations, trapping them. 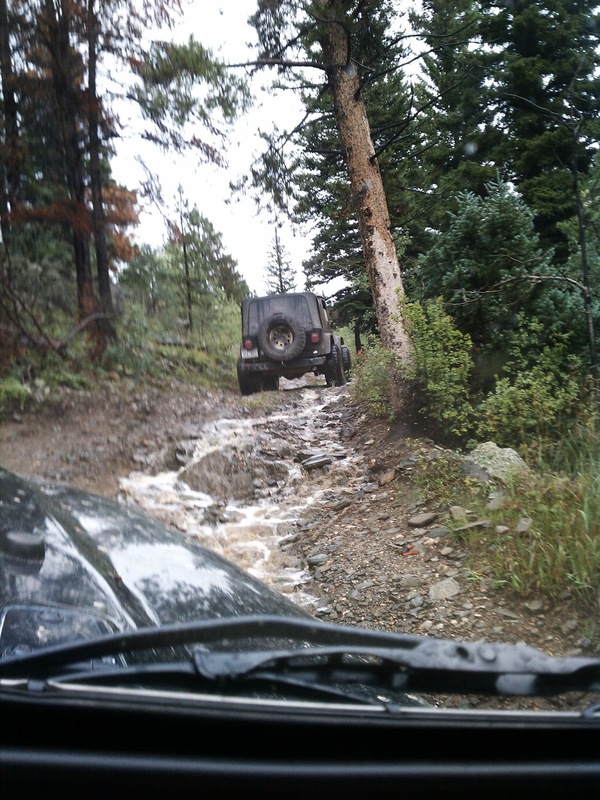 Washout in the middle Buckhorn. It looks like a river, but it's actually the main road. 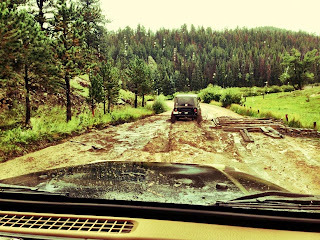 The washout closest to pavement, the only one we could reach by vehicle. The first immediate need in the Buckhorn was a little old lady who was on her 12th week of chemo and needed to get to town for her final treatment. 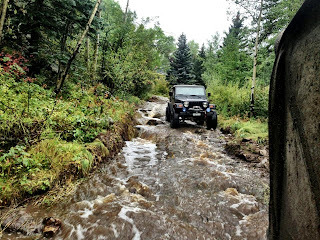 She lived just the other side of the closest washout, so we mobilized the forces and helped her across. She absolutely refused to ride in an extraction basket, insisting to go under her own power except for the worst spots. There, she got rides in a jeep and in the arms of a couple of firefighters. Based on the look on her face, I would say she enjoyed both rides tremendously. 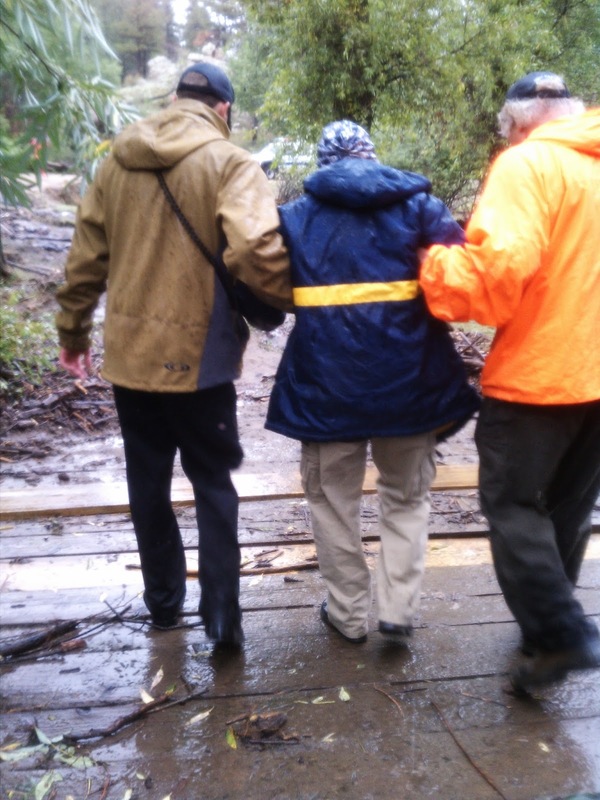 Our chemo patient gets a walk across a bridge, after a carry across a stream. Ruben rides the bumper, chemo patient rides shotgun high and dry. The next immediate need was the upper Buckhorn, which needed food, drinking water, and medical supplies. We had originally planned to fly these in by helicopter, but it rained most of the day on Sunday, grounding any hope of air operations. 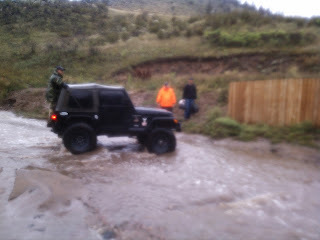 Instead, Ruben, Martin, Luke, and I took a couple of Jeeps around to the back side of the Buckhorn and delivered the needed supplies. Luke has no trouble with an 18" deep mud-hole. 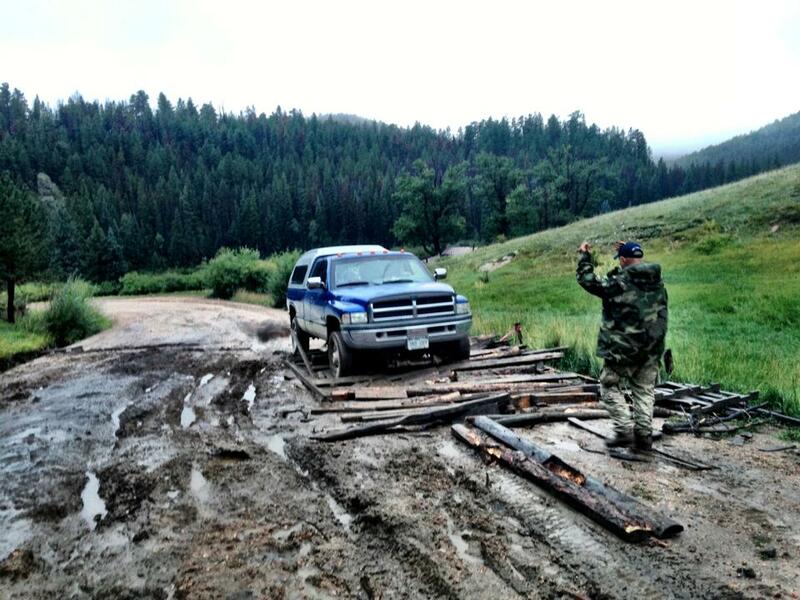 Ruben leads a supply vehicle across a makeshift bridge. 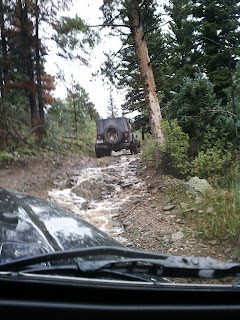 We ultimately had to winch it across with one of the jeeps. Residents came from everywhere to thank us and receive their supplies. A firefighter who lives in the area told us of another resident that needed some oxygen bottles, but he was up on Crystal Mountain, which had been deemed totally inaccessible. Ruben took this as a challenge, and we transferred the oxygen bottles to the jeeps. We climbed some roads that most people wouldn't take a horse up, let alone a vehicle, and traversed across on a two-track through some properties that may not even be on the map. It's pretty wild up there, and when we stopped to ask residents how they were doing, we were sure to shout our presence and who we were as we approached. Shoot-first is the primary home security measure in some parts of this area, and we didn't want to be mistaken for intruders. 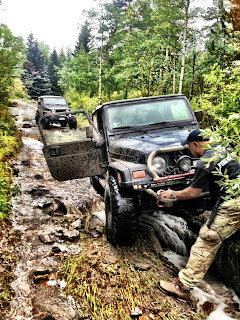 Ruben and Martin lead the way up a jeep-only road. 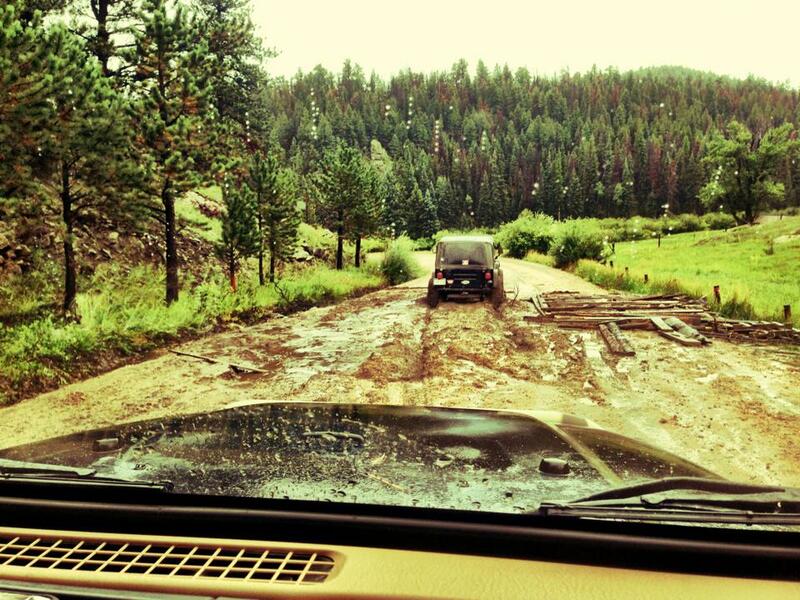 We stayed in the jeep. Luke follows Ruben down the road-now-creek. Ruben readies the winch to open a locked gate. 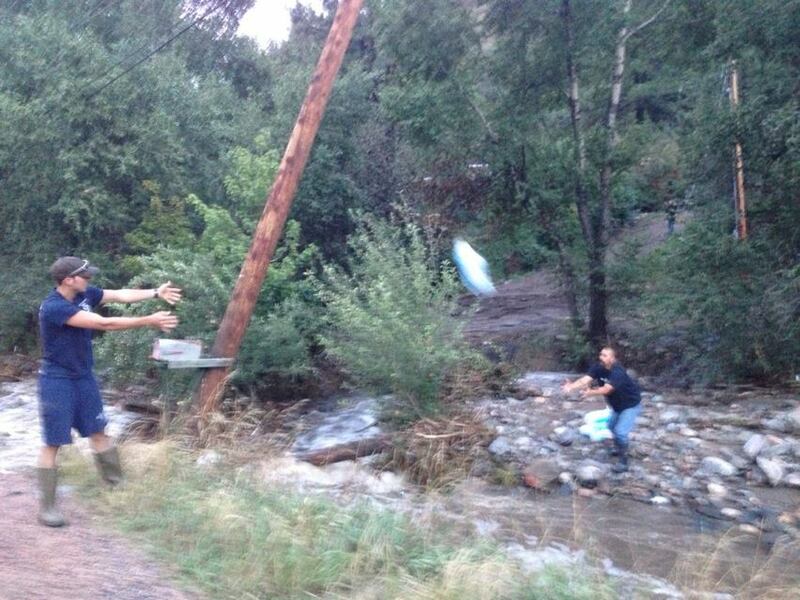 On the way back we rendezvoused with a couple of residents that wanted to evacuate. We escorted them across the mud bog to make sure they were safe, and then headed home ourselves. It was a long day, but a very good day. Ruben leads the evacuees out over the makeshift bridge. 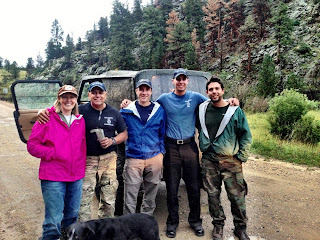 The jeep crew poses with one of the evacuees (her husband is behind the camera). Martin Arrieta's Album of firefighter operations on Facebook (may require affiliation). Ruben Arrieta's Album of firefighter operations on Facebook (scroll to the bottom, may require affiliation). Kristen Moreshead's Album of Stratton Park road damage on Facebook (may require affiliation). 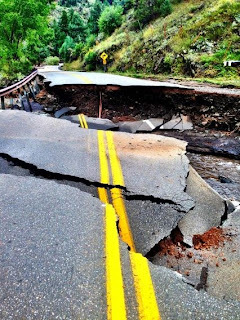 Phil Benstein's Album of road damage, primarily Rist Canyon Road, on Facebook (may require affiliation). 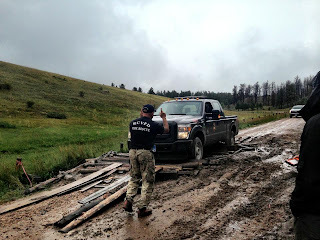 The RCVFD Facebook Album with some documented road damage photos. A really long video of the Sherrif's flyover. 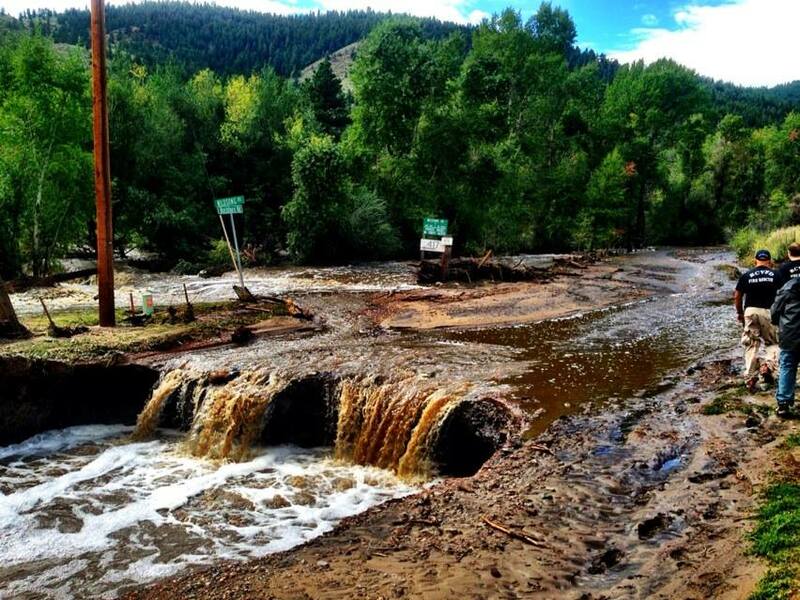 Documents all the flooding in Larimer County. News report of a mudslide in Poudre Canyon. Coloradoan footage of various flooded areas. Best footage starts at 3:00.